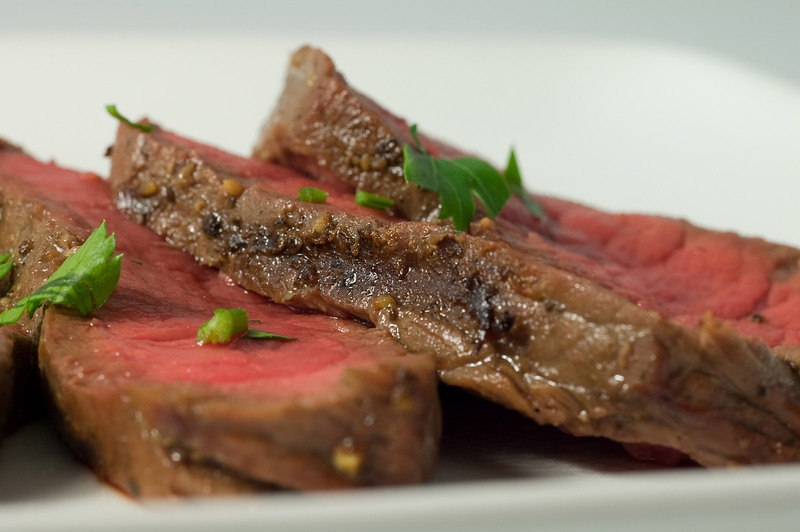 Some people name a specific cut of meat for preparing the London broil steak. But actually, it is not a cut of meat which matters the most; it is actually how you prepare a piece of meat. London broil is very famous recipe across America and there are many recipes through which a nice and juicy steak can be prepared. The piece of meat is thoroughly marinated and then is cooked on grill. It is then sliced against the grain and is served with different types of sauces, and combination of vegetables. Use a fork or knife to poke the meat from all sides. This will ensure that the marinade get penetrated inside the meat nicely. Ensure that you do not overdo the forking as it can ruin the final texture of the dish. Take a mixing bowl and add rosemary, oil, garlic and vinegar in it to make the marinade. Add the meat in the bowl containing the marinating mixture; marinade the meat and keep it in the fridge for a night. This will allow the marinade juices and flavour to sink inside the meat. Remove the marinated meat from refrigerator and let it to dry. Then sprinkle salt on all sides and rub black pepper on it. Preheat the oven at 130 degree Fahrenheit and place the meat in an oven proof plate. Heat all sides of meat for approx. 7 minutes on each side. Once the meat is tender and cooked well, remove it from oven; wrap it with foil and place it inside the oven for 10 minutes. Now remove the foil and cut the meat in thin slices from grains and serve hot with any type of sauces, preferably the barbecue and mustard sauce.